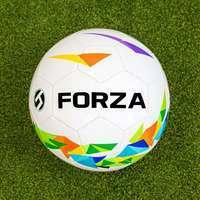 12ft x 6ft FORZA Football Goal. Regulation size mini-soccer goal for under 11's. Strong PVC goal frame and HDPE net. Essential locking system enhances strength and assembly speed. Add a Training Football, 12 x 6 Target Sheet and/or Goal Carry Bag in the essentials below. 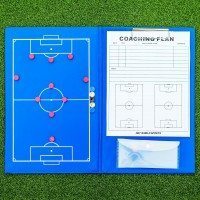 Revolutionise mini-soccer practice sessions for juniors with this 12 x 6 football goal. 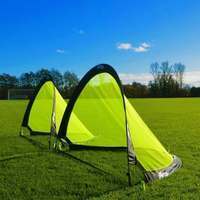 Designed to enhance the back garden football experience for under 11's, the weatherproof PVC football goal allows youngsters to develop their skills in the comfort of their own home. 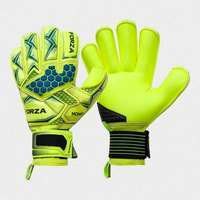 When working on full-force volleys and top-corner bound strikes, you need a football goal that you can count on. The essential locking system of this goal holds all the components of the frame together, enhancing its ability to withstand collisions with the ball without becoming damaged. Spend less time twiddling your thumbs and more time enjoying the beautiful game thanks to the incredibly quick assembly of this junior football goal. 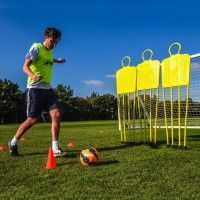 The PVC posts slot together with ease, and the included goal net attaches to provide a fully formed garden football goal in minutes. 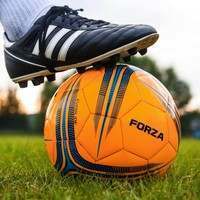 Mini-soccer is a small-sided variation of fully-fledged football tailored specifically towards juniors under the age of 11. 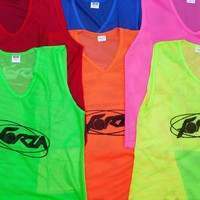 Designed to promote fairness and enjoyment for kids, this new way of playing the beautiful game requires specific equipment. Standing at 12ft x 6ft, this football goal is the perfect size for mini-soccer. 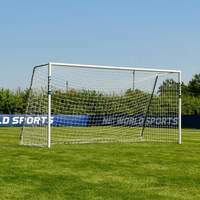 Meeting all necessary regulations, applying this PVC football goal to matches, tournaments and back garden training sessions will make youngsters feel like their favourite World Cup superstars. The assembly process of this mini-soccer football goal for juniors is as quick as a Cristiano Ronaldo free-kick. 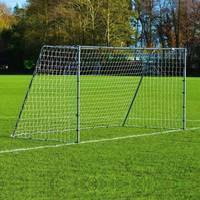 The PVC goal posts slot together with ease, providing hassle-free and super speedy assembly. 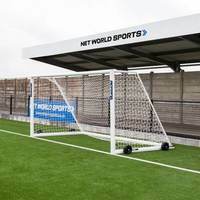 Once the posts are in place they stay held securely together thanks to the essential locking system, an innovative feature which makes this junior football goal incredibly strong. 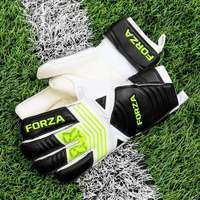 Crossbar challenges or post-rattling volleys will be absorbed without incurring damage due to the toughness provided by the essential locking system. This sturdy garden football goal is perfect for regular use during all four seasons. 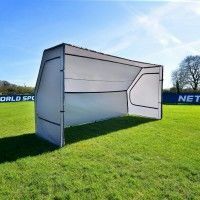 Expertly designed to withstand the rigours of the elements, this 100% weatherproof football goal offers world class performance during downpours, blizzards and sun kissed afternoons alike. Rust and corrosion won’t impact the all-weather football goal, and as such it can be left fully assembled in the back garden all year long, eliminating the tedium of constant disassembly post-match. 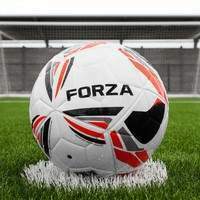 No stone has been left unturned in the quest to provide the ultimate football goal for juniors. 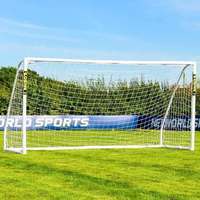 The combination of PVC goal posts with a weatherproof HDPE football goal net is a match-winner, guaranteeing quality and long-lasting performance. 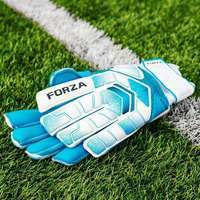 The goal net is a top class addition to your set-up, boasting the ability the handle the most thunderous of goal-bound strikes. 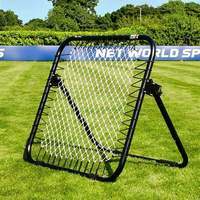 With net clips and u-peg goal anchors included, your back garden will be receiving a World Cup makeover with this high value football goal package. 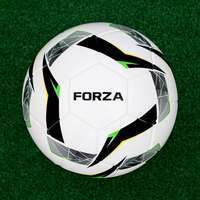 Hello I was wondering if it comes with both soccer's goals or just one? Hi Rico, thank you very much for the enquiry. These specific goals are sold individually. Any of our goals that are available as a pair will have the option to select a single or a pair on the listing. 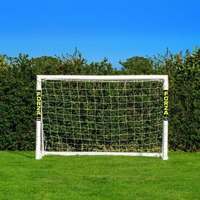 What size goal would you recommend for my 8 and a half year old for back garden? Hi Gina, thank you very much for the enquiry. Usually we would recommend the 8' x 6' or 12' x 6' for this age, both sizes will work just fine! Do they come with nets? Hello Liz, thank you very much for the enquiry. This goal is perfect for garden use for children in there early teens. It is also fine to use for younger children that are playing with there parents in the garden. The PVC is 68mm thick and the net is strong enough to withstand shots from most children. Hello just wondering if everything comes in one delivery or does it come in more then one package like for instances does the net come in one and the pvc come in another? Does a net come with this ? Can you buy replacement parts for this net? Hi Trish, thank you very much for the question. Yes, this goal would be perfectly fine for just garden/yard use. However, if you're looking for something slightly more durable we have this size goal available in steel and aluminium. do you do replacement parts for these goals brought one about a year to 18 months ago 12x6 and the top right hand corner T support has cracked right along the diagonal?